What Are The Benefits Of Becoming A Digital Marketer? Today, India rules the roost boasting world’s 3rd largest internet population. Nevertheless, with rising demand for internet marketing, there are almost 8 lacs jobs for digital marketing too. And to cater to the needs of these rising stars, various digital marketing courses in Pune are shaping up. Along with training, these digital marketing classes in Pune are also creating leaders. And once a leader, then this is how you stand different! The above stats definitely highlight the fact that digital marketing is in the boom. And once you complete your course from the best digital marketing training institute in Pune, it will open new avenues for you to take a career leap. You will be in demand, thus helping you secure your future. If you think you are good, then you will definitely get paid well! Owing to the demand digital marketing has, experts are getting complemented with fat paychecks. It’s time to enjoy the utmost comforts! 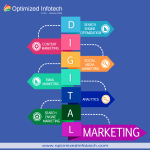 There are a plethora of opportunities as digital marketing boasts a gamut of branches. Inbound marketing, analytics, SEO, social media marketing, etc., are some of the avenues you can choose as per your liking. You can always become an expert in all! Also, more and more companies are multiplying their workforce, thus giving opportunities to explore and flourish! If you are thinking from a business point of view then it is a win-win situation. You can either start your own digital marketing firm or set up digital marketing training institute in Pune. Whichever option you choose, is going to prove fruitful. Digital marketing can give you success but first, you need to choose the best digital marketing training institutes near you. 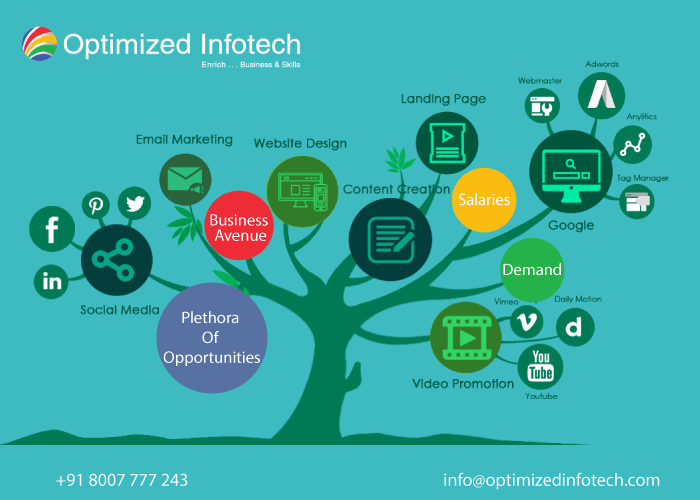 For that Optimized Infotech can help you as we are available across Pune like – Kothrud, Wakad, Shivaji Nagar, Hadapsar, and Pimpri-Chinchwad.